How to Make TStv Nigeria Online Payment and Recharge on Phones – Step by Step Guide! Making TSTV Nigeria Online Payment has never been easier like before.The good news is that with the comfort of the Internet at you fingertips, you don’t have to leave your comfort zone. You can now pay your TStv subscriptions online each time it expires without leaving your home. It is easy, fast and very effective. You do not have to risk getting disconnected just because you are too busy to drive to the nearest Tstv office. 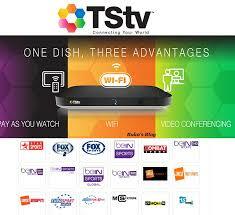 Now, you can pay for your TStv subscription right from your phone and other internet-enabled devices. There are different mobile movie platforms such as Firstmonie from First Bank Nigeria, MTN Mobile Money, my paga, etc. Mobile money works by Mobile Money transforms your mobile phone into an electronic wallet or e-wallet and basically helps you store funds electronically. By so doing, you can send money to friends online and make electronic payment for goods and services, including paying your TStv subscription. To do this, just select dstv subscription payment on your Mobile Money platform and pay your subscription fees. Log into your GTBank Internet Banking platform and click on payment options. You should be able to see the option for TStv Subscriptions. Choose your TStv bouquet package and Quickteller. After that, choose your account bilker name, which is TStv. You will also choose your utility type (Access bouquet, Access Bouquet, Extra View, Compact, etc). Then, enter the amount you are paying, your email address, TSTV smart card Number, email, phone number and Answer the secret question that follows. Now, press continue to enter your GTBank token Number. After you login to the quick teller platform, enter your TSTV smart card Number and other relevant details specified above, as required on the Quickteller platform. After you fill in the necessary details and click the Next button, you should see a billing page where you will have the option to pay with your ATM card. So, enter your ATM card details and you may further have to enter your bank token if required for your payment to be initiated. It usually takes less than 5 minutes to process your payment. The next thing is to immediately activate your TStv subscription after paying online. This is quite easy! Just send your smart card number with the Code “RA” to the TSTV self-card number. The self-care number for Nigeria is ‘30330’. Send “RA” and your smart card number to 30330. Hope you find it easy making TStv Nigeria online payment. Let me know if you have any issues or complaints. Just click the reply button below to send in your response. Good luck!